Remember this video I shot for Shopbop this summer? I showed you guys how to style this Tibi dress three ways, taking it from a fun summer sun dress to a very versatile piece in fall/winter weather. Here’s another fun way to style it for a great work-to-weekend look. I adore this dress! 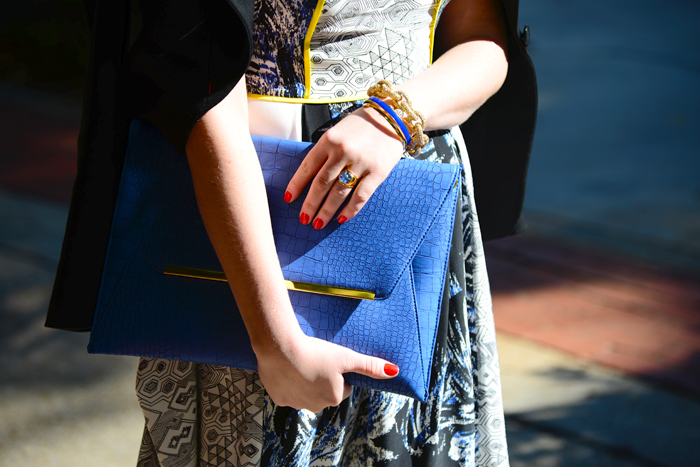 And love it paired with that over-sized cobalt blue clutch! Adorable dress and loved this video!! I love winterizing summer outfits lol. This was great – love the dress and boots! Indeed, great weekend wear. 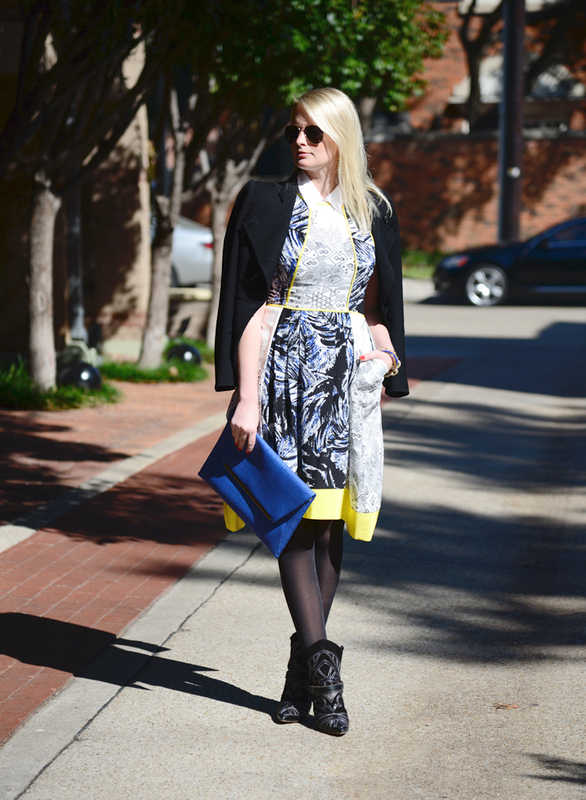 I love the Tibi dress and ASOS clutch. 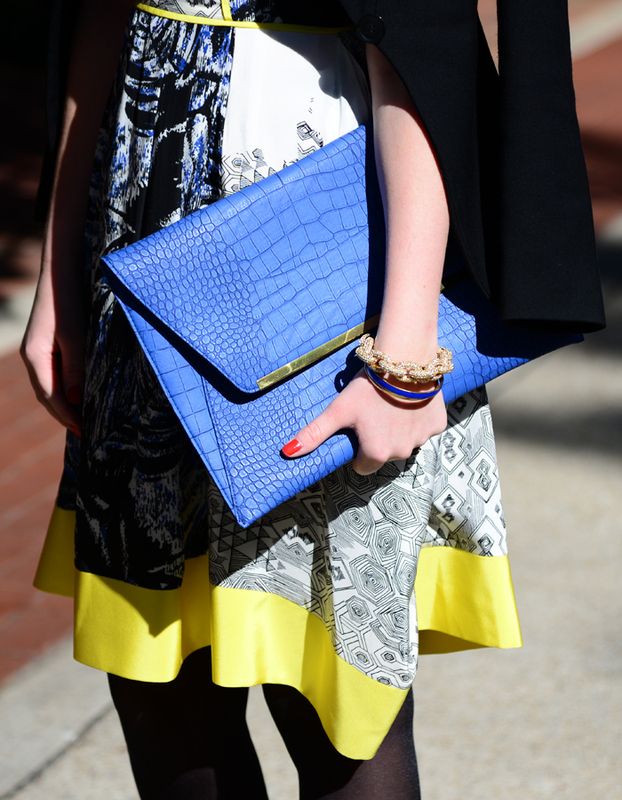 They really go perfectly together and cobalt is still so big this Fall/Winter! 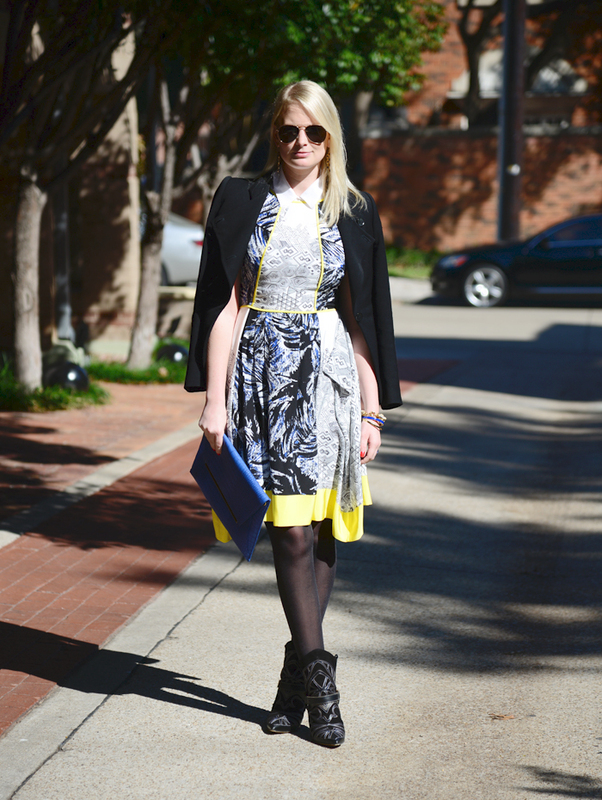 been obsessed with this tibi dress since it first came out. it’s unique & gorgeous. love how you’ve styled it here with tights & an additional collar! I wouldn’t think of putting those boots with this dress but it looks fabulous! Of course, every time you put an outfit together it looks incredible so I shouldn’t be surprised! PS: If you have a second I’d love it if you could come and enter my giveaway with Rent the Runway!